Anna Lallerstedt who took over the steering wheel for her dad Erik’s restaurant empire about ten years ago, opened the first restaurant of her own this spring. This was also the first new restaurant by the Lallerstedt family in close to 25 years. That the chosen location is Kungsholmen, and more precisely the Gert Wingårdh designed building, was no coincidence. Anna Lallerstedt live in the area and saw the need for a restaurant like this – a classic restaurant with high quality raw produce, mainly sourced from the sea – in the neighbourhood. When it comes to the timing of the venture it’s fair to suspect it’s no coincidence either. 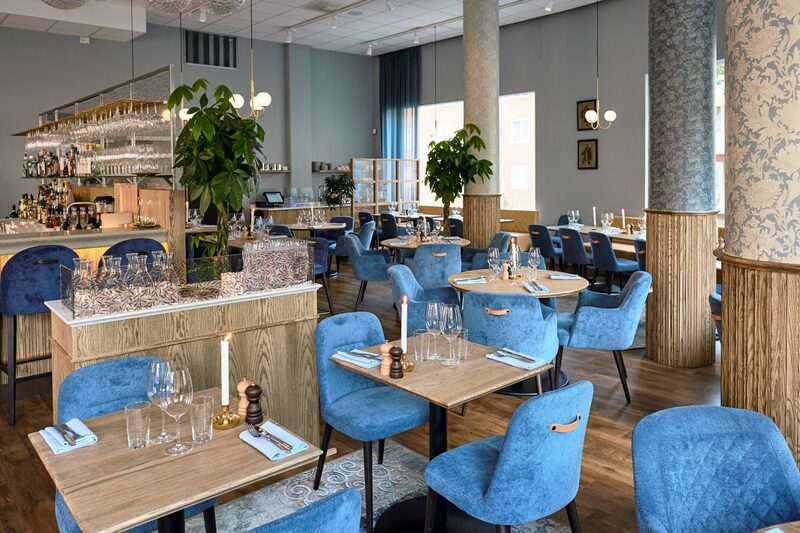 Their restaurant group has seen a shrinking turnover these last few years, and the Slussen construction site surrounding Gondolen and the wine bar obviously plays a part. The final result is a large restaurant that offers breakfast, lunch, dinner and take away and is divided in two sections – the relaxed Basaren and the more formal and classic Matsalen. We are seated in the latter. The expectations are high and we know they have sourced their personnel from both sister restaurant Gondolen and from successful competitor Oaxen. The menu seems well thought through with a handful of starters for about 150 kronor each and the same number of mains for twice that. We begin with a couple of snacks before tucking in to the mains. We get acquainted to a little broccolini for 50 kronor plus two rounds of lobster croquettes for 60 kronor a pair. It tastes like we expect it would and the broccolini, a hybrid between European broccoli and Chinese gai lan, is wonderfully crispy in texture. We move on to the fish and a fish stew that sets us back 260 kronor. The dish is skilfully made and is a slightly better take on a classic dish that sits on most menus in the inner city of Stockholm. The blade chops and striploin, both at 295 kronor a piece, are close to perfection and are flushed down with a bottle of, the recommended, Cote de Brouilly. For dessert we settle for a simple combination of coffee and digestifs. Nothing more fancy than that, but praise goes to the pastry cook who delivered exquisite confectionary. Prices at Eriks Basar may be in the upper range but you do get a decent bang for your buck both when it comes to quality and quantity in terms of portion sizes. 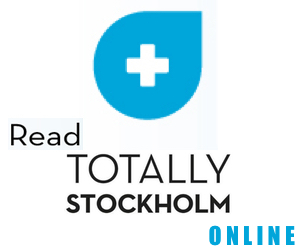 Kungsholmen has been enriched with a reliable neighbourhood restaurant we will come back to.